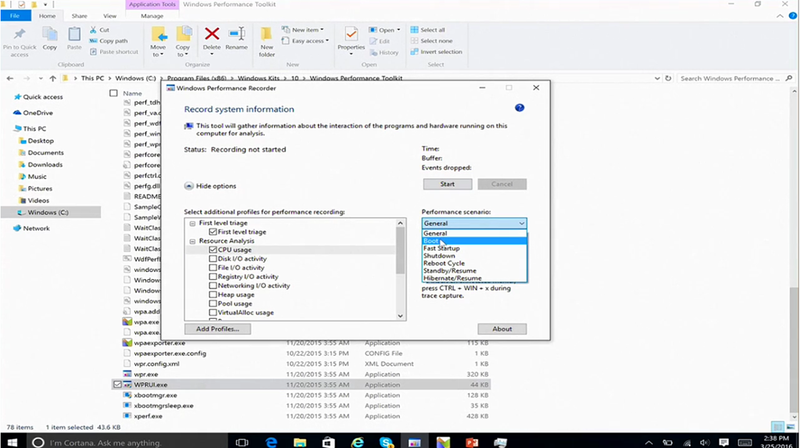 Lex Thomas & Yong Rhee from Microsoft Premier Services did a recording around Windows Performance Toolkit that’s very insightful. Windows Performance Tools are designed for analysis of a wide range of performance problems including application start times, boot issues, deferred procedure calls and interrupt activity (DPCs and ISRs), system responsiveness issues, application resource usage, and interrupt storms. Join Lex Thomas as he welcomes Yong Rhee to show as they discuss some of the various tests you can run on your systems.